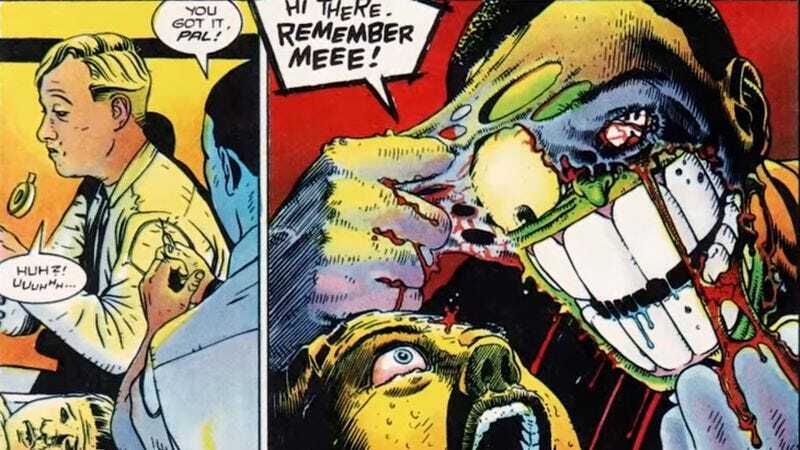 Charles Russell’s 1994 film The Mask is remembered as a goofy, basically lighthearted Jim Carrey vehicle featuring cartoonish, over-the-top special effects and such memorable catchphrases as “Sssssssmokin’!” and “Somebody stop me!” But, if the movie had followed the template of the Dark Horse comic books on which it was based, it could have been one of the most gory, disturbing, blood-drenched adaptations of all time. But maybe that version would not have been a $351 million hit, spawning a sequel and an animated series. YouTuber Doug “The Nostalgia Critic” Walker has prepared a side-by-side comparison of the film and the comic, and his findings are eye-opening in more ways than one.